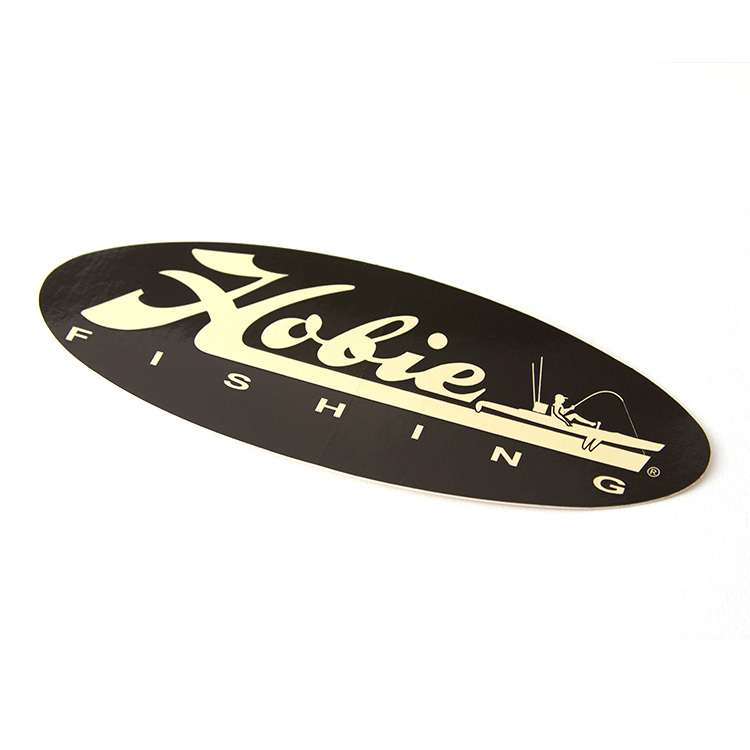 Hobie 6" black flying H sticker/decal. 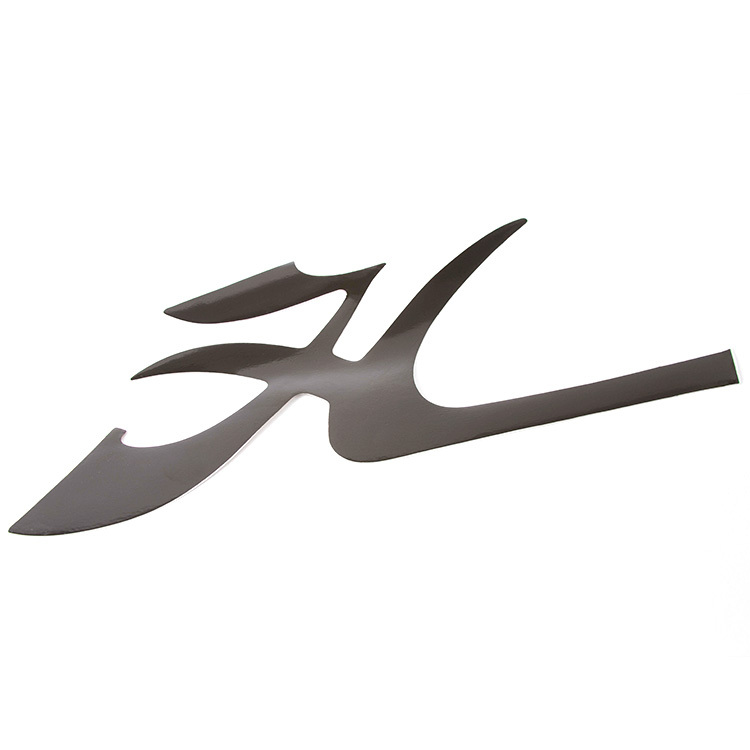 Hobie 6" white flying H sticker/decal. 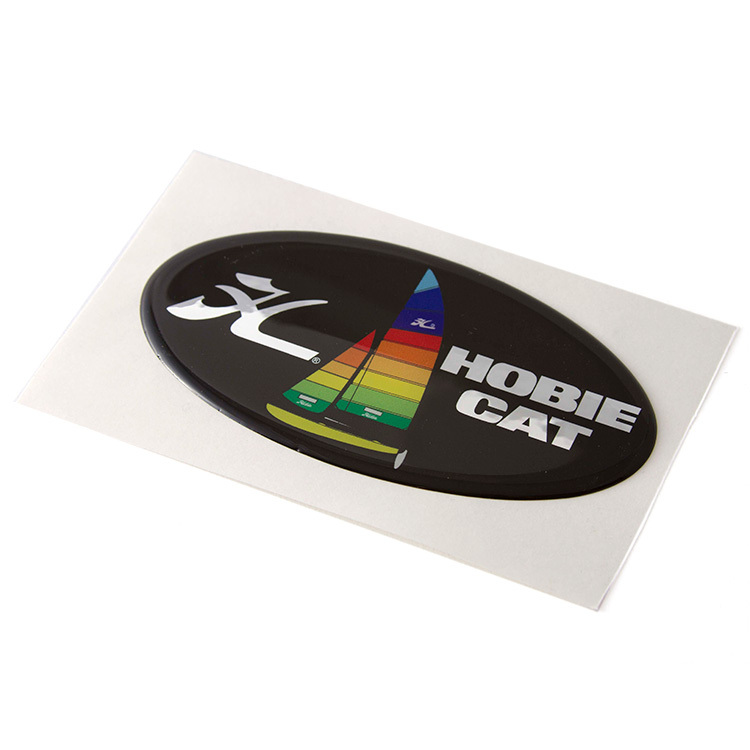 Hobie Decal for your boat, kayak, car or anything else. Hobie 36" diamond decal/sticker in turquoise and silver. 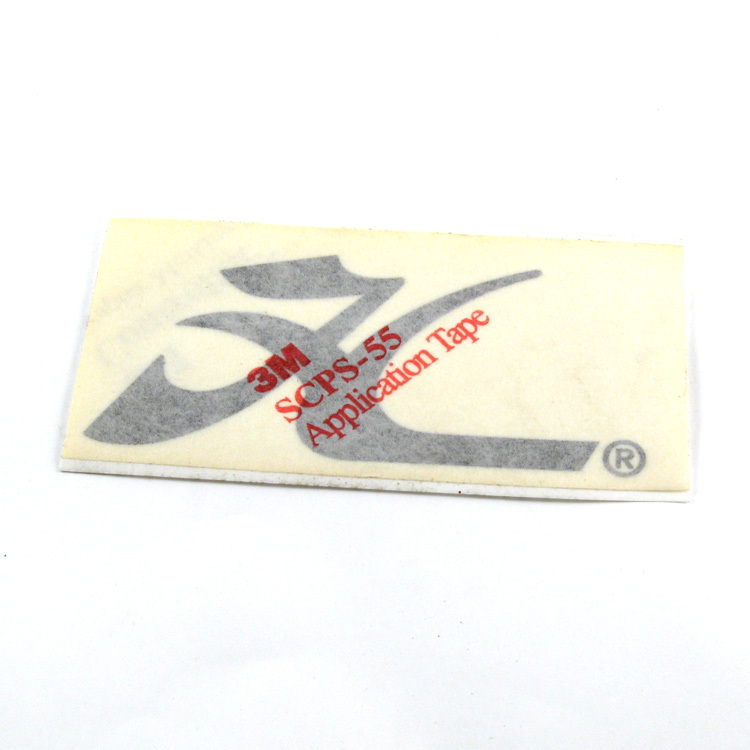 Black Hobie script sticker, measuring 24 inches wide. 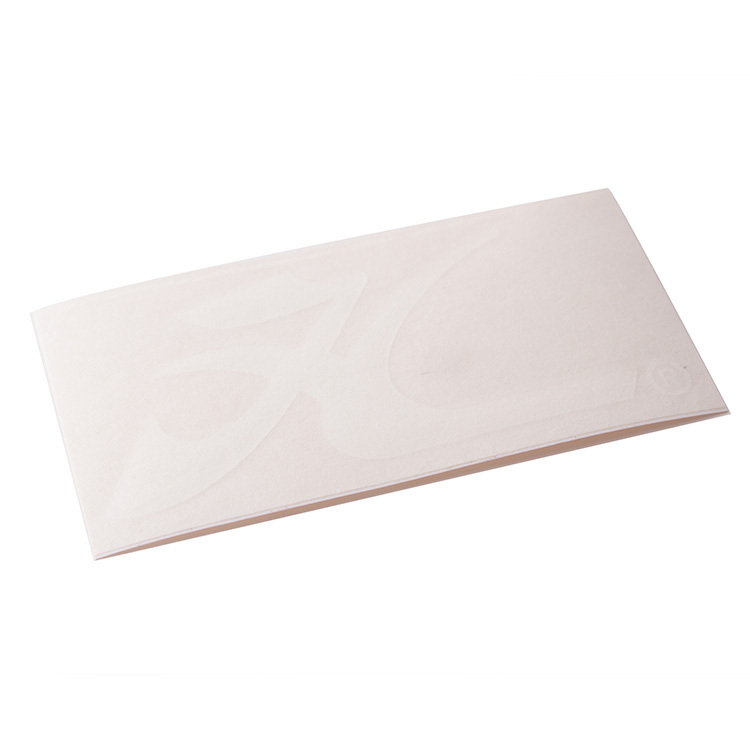 White Hobie script sticker, measuring 24 inches wide. Hobie Cat Tequila Sunrise style decal sticker, 4 1/2". 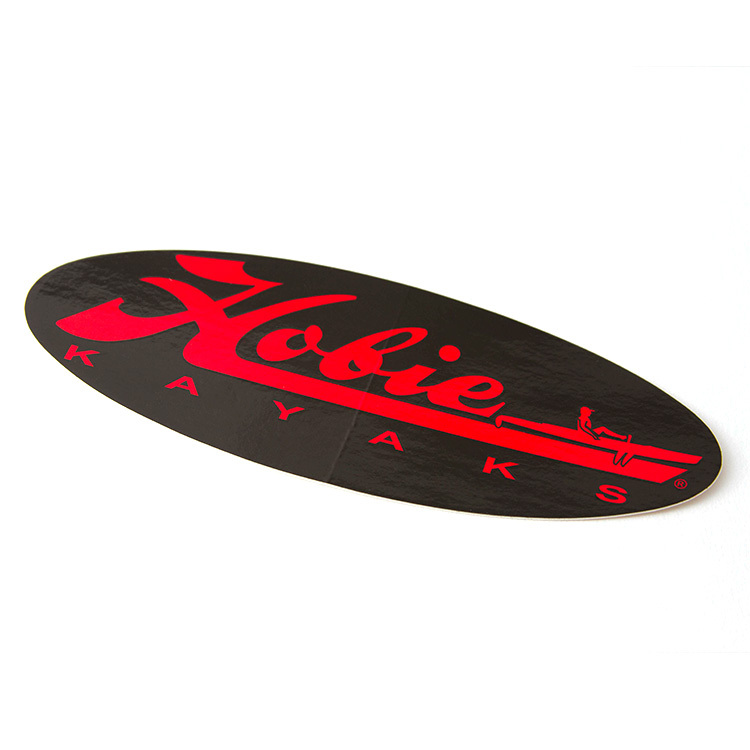 Hobie kayak logo decal/sticker in black and red. Black flying H sticker, measuring 12-5/8 inch by 12-5/8 inch. - Supplied by Hobie Cat. - Measures roughly 12-5/8 inch by 12-5/8 inch. 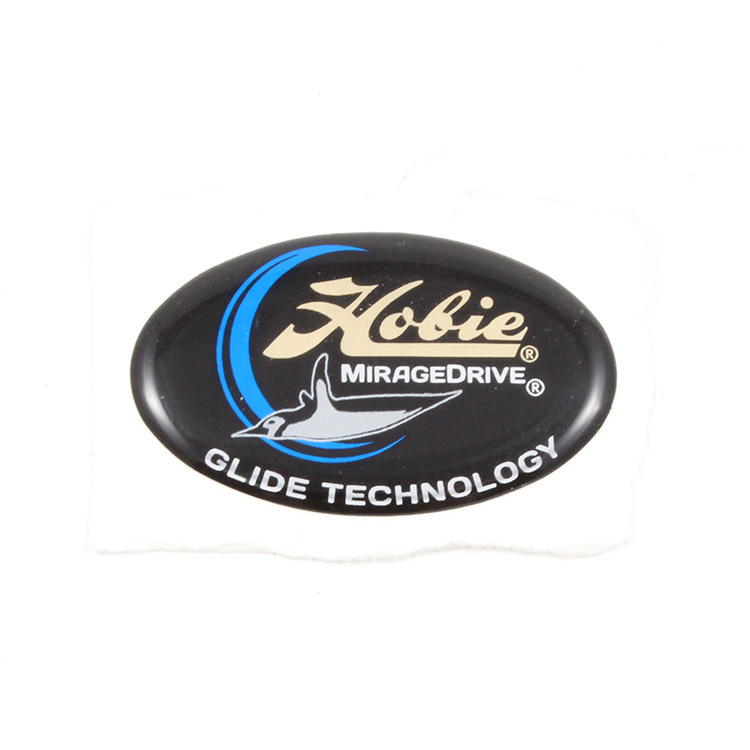 Replacment decal for Hobie Mirage Drive Glide Technology assemblies. 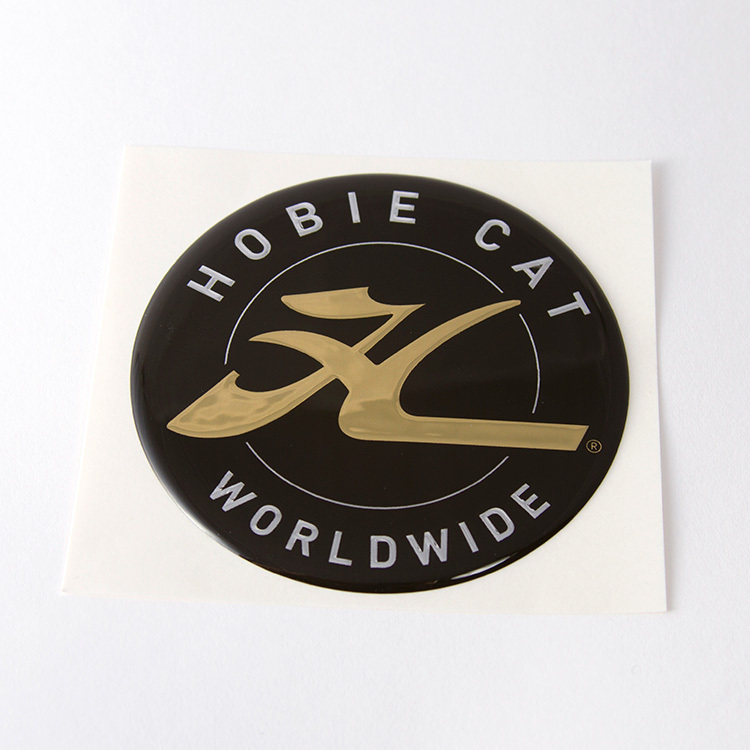 Hobie Cat Worldwide gold color dome decal/sticker for Hobie Kayaks. 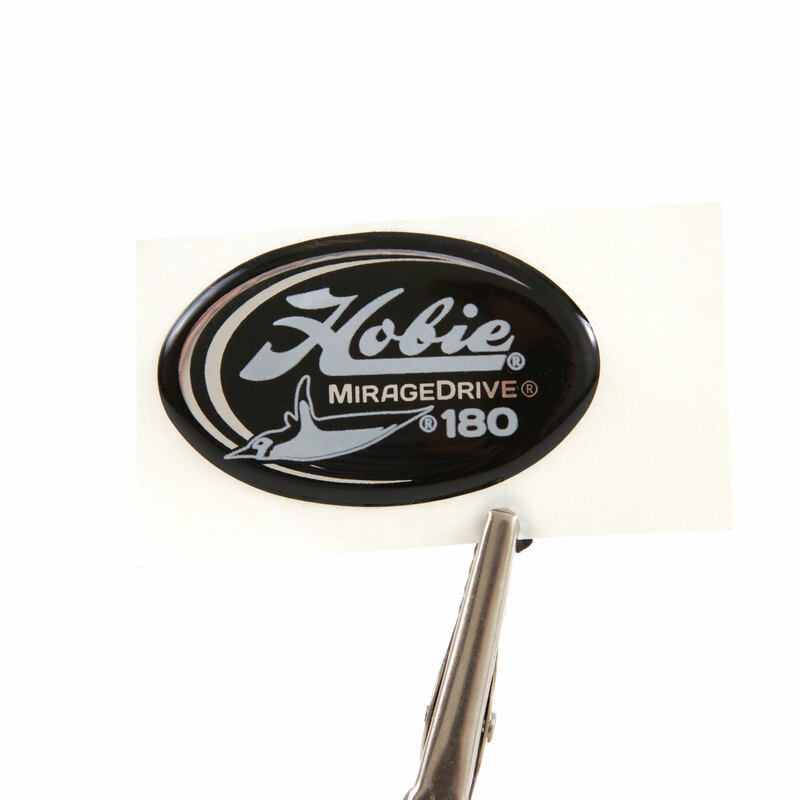 Replacement dome decal for Hobie Mirage Drive 180. 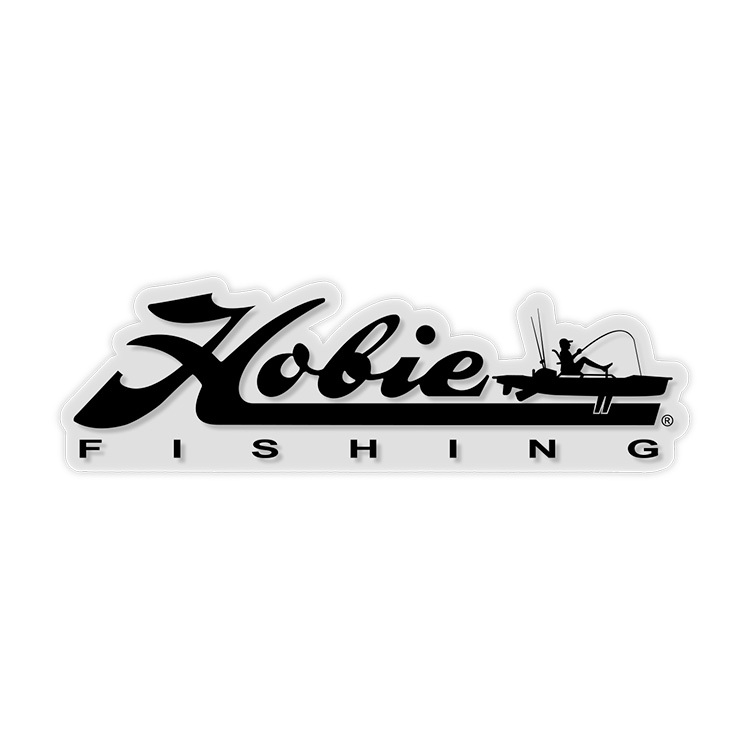 Hobie 12" kayak fishing decal in black. 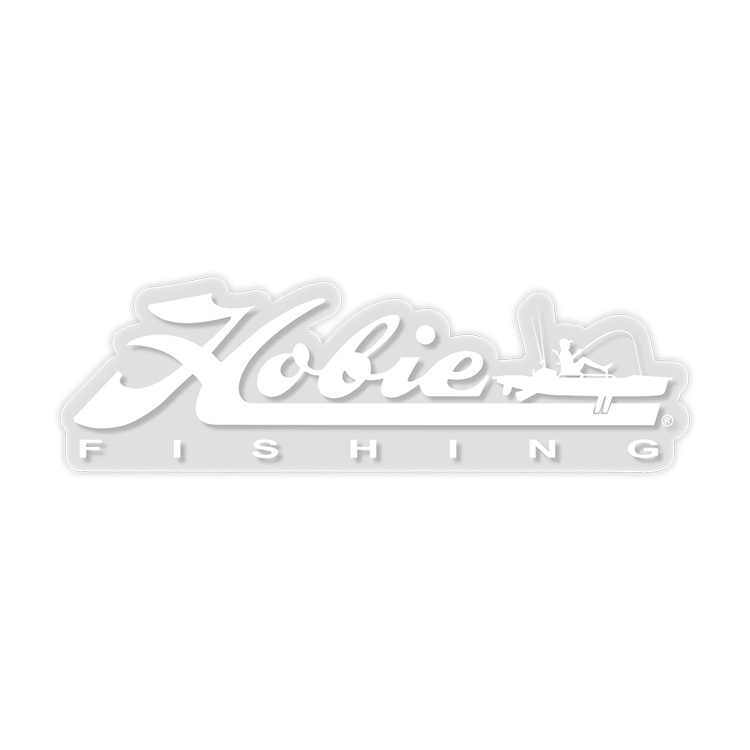 Hobie 12" kayak fishing decal in white. 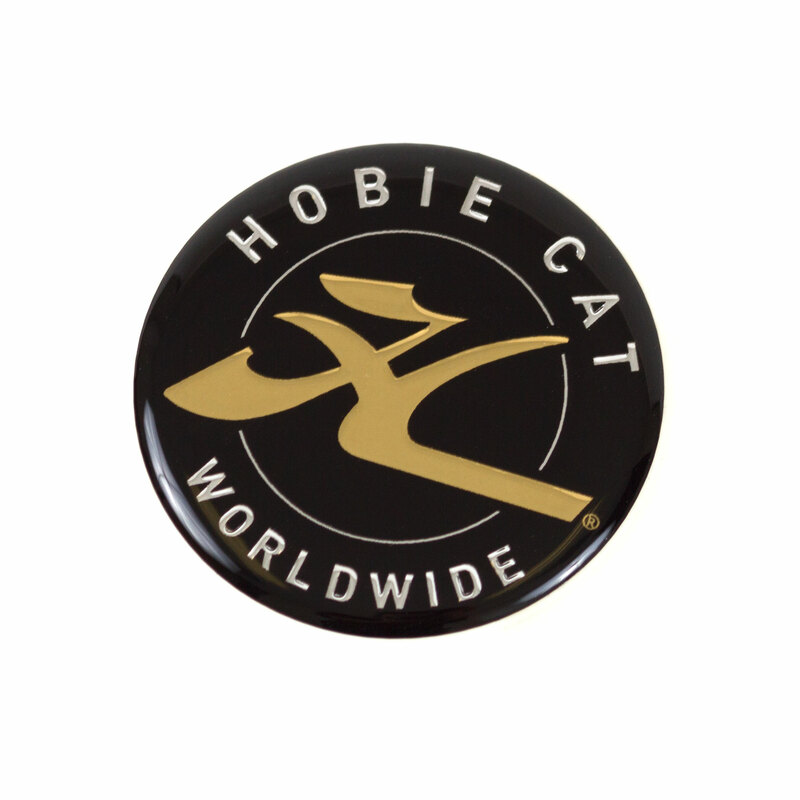 Hobie 2.75" round dome decal/sticker in black and gold. 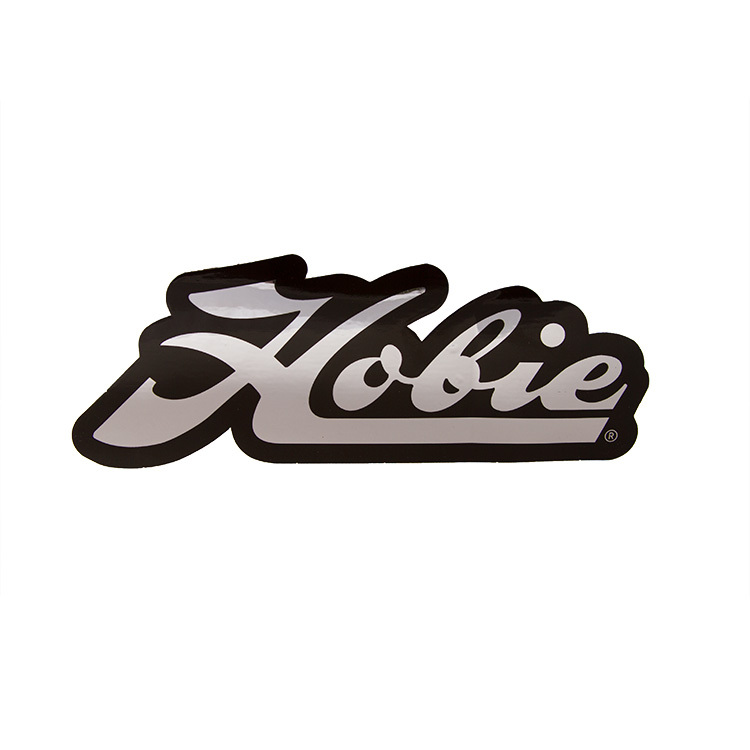 Hobie kayak script logo decal/sticker in chrome and black.